Pokemon: Let’s Go, Pikachu! and Let’s Go, Eevee attempts to hit that middle ground of being appealing to newcomers and veterans of the franchise. 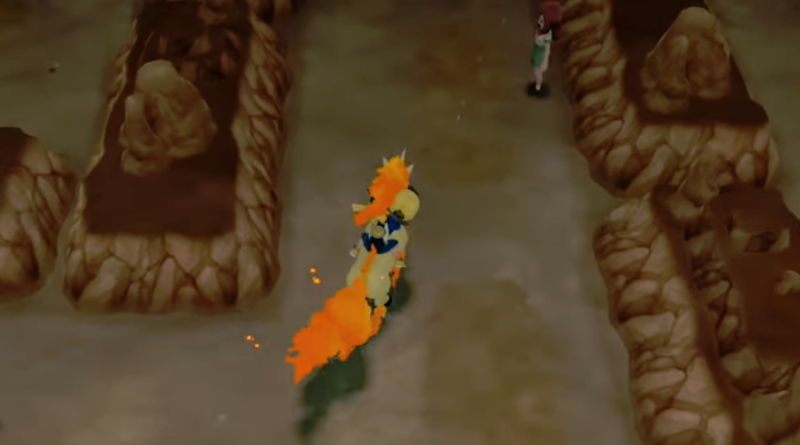 Where other games have failed to accomplish this, Pokemon: Let’s Go, Pikachu! and Let’s Go, Eevee succeeds. Creating a more streamlined and less vexing experienced based on the player’s actions instead of luck. Pokemon: Let’s Go, Pikachu! 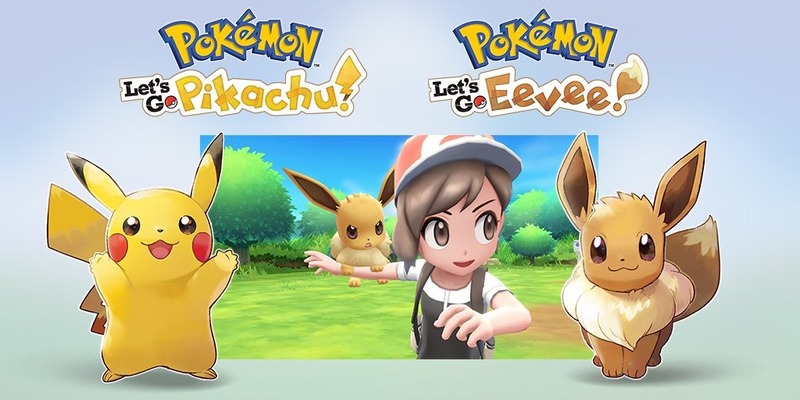 and Let’s Go, Eevee is may be one of the easiest games this year but throughout you’ll have blast catching and battling Pokemon to even care. Pokemon: Let’s Go, Pikachu! and Let’s Go, Eevee follows the story from Pokemon Yellow. Depending on your version you’re tasked with trying to achieve the rank of Pokemon Master by defeating the 8 gym leaders, stopping Team Rocket, and, of course, capturing all the different types of Pokemon. It’s a wonderful journey that charms the players with its iconic moments that veterans will instantly recognize from the classic titles and newcomers will look on in amazement. Each of the levels shares the same design as the original Gameboy games. The modern graphics give each area its own distinct feel while still being loyal to the original designs. What complements everything is the amazingly detailed Pokemon. Pokemon: Let’s Go, Pikachu! and Let’s Go, Eevee experiments and brings back some beloved systems. The rock-paper-scissors battle system is still here but capturing Pokemon plays a bigger role. Players can now see the Pokemon the wild, eliminating the fatigue of having random encounters. Encountering and capturing the same Pokemon over and over again will yield a stronger variant or even shiny of that Pokemon, giving players control where before it was all random. The developers have adapted the Pokemon GO catching system where a little circle of opportunity is shown and the player must throw the ball into it. The issue with this system is the motion controls, which can be vexing since throwing at a curve and sideways is a trial. The system is still quicker than the old method of battling and weakening the Pokemon but a missed throw can lead to just as much frustration as a Pokemon breaking out after the third bob. What thankfully hasn’t returned is the HM system. 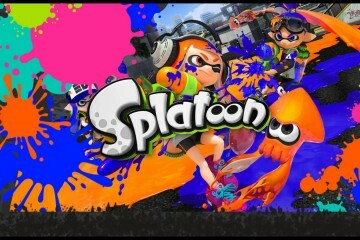 Now replaced with Secret Techniques players won’t have to dedicate a move or Pokemon slot to overcome obstacles. Something that early adaptors of the Pokemon games had to struggle with. Pokemon: Let’s Go, Pikachu! and Let’s Go, Eevee biggest fault, it’s way too easy. Pokemon games have never been too challenging since players can exploit the system but here the challenge is mostly drained. The starter Pokemon is extremely powerful and rarely can be defeated. I was able to take down 90% of my opponents with the exception of fighting Pokemon since Eevee was weak to fighting types. The developers have attempted to combat this by including trainers called Master Trainers for those seeking a challenge. Train and Capture but now What? These formidable trainers specialize in one Pokemon and there’s a trainer for each of the available Pokemon. Players can only face them using their specialized Pokemon so you cannot exploit their weaknesses such as using Pikachu against Blastoise. Some of these trainers can be easily taken down and others will put you down for the smallest mistake or bad luck. It’s not as thrilling as the Battle Tower from Pokemon X and Y but it’s something for veterans to enjoy. Pokemon: Let’s Go, Pikachu! and Let’s Go, Eevee makes a lot of other sacrifices such as removing breeding, held items, and unique abilities. 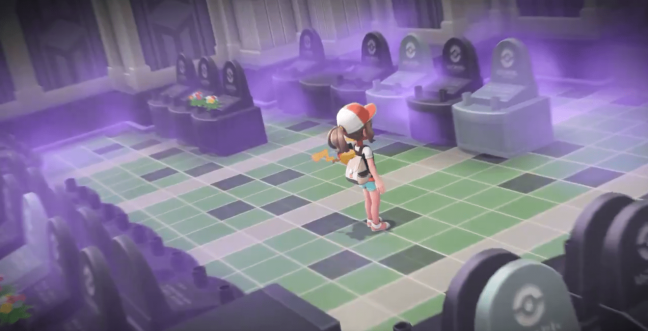 It’s unclear if this was made to ensure that newcomers wouldn’t be overwhelmed by all these systems or that the developers wanted to remain loyal to the original games Pokemon: Let’s Go, Pikachu! and Let’s Go, Eevee was based on. It isn’t a huge problem considering the game’s battling system is just as fun without it. Those hoping to prove they’re the very best will be sad to hear that ranked mode isn’t included. 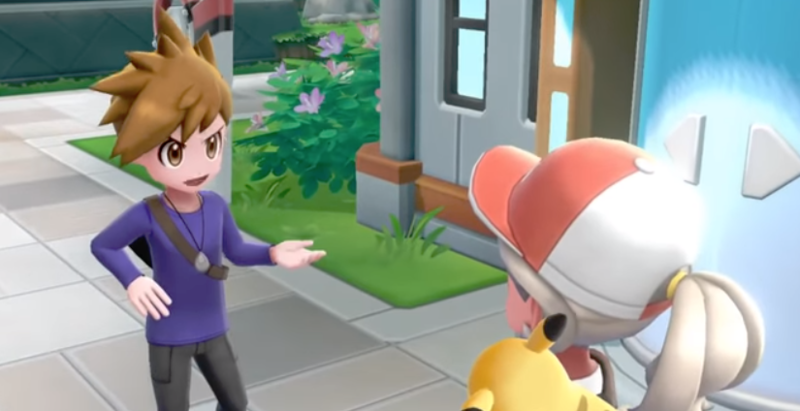 Players can face other trainers online or local but considering that Pokemon is one of the most competitive games in Nintendo’s library a leaderboards and rank system should be added. Seeing that Pokemon’s primary appeal comes from battling perhaps Nintendo will add it in later on. Pokemon: Let’s Go, Pikachu! and Let’s Go, Eevee does host an array of welcomed additions. The most notable being the ability to call any of your Pokemon to follow you around. First introduced in Pokemon Yellow this system has been one of the least used and most popular features in the franchise. Some Pokemon such as Oynx have unique riding animations and trying them all out is a thrill. Pokemon: Let’s Go, Pikachu! and Let’s Go, Eevee isn’t a challenging game and doesn’t attempt to provide a robust competitive scene. 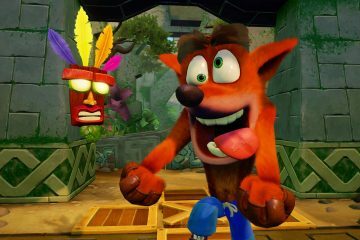 However, the journey remains a thrill to play from start to finish. Finding and crafting your own perfect team is just as addicting, thanks to the streamlined capturing providing more control, and facing off against trainers using that ideal team is just as fun. Pokemon: Let’s Go, Pikachu! 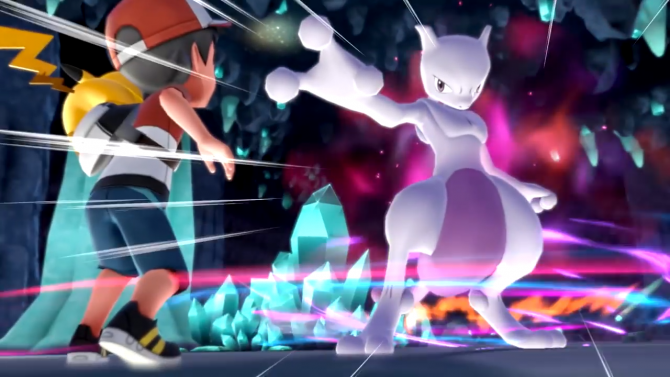 and Let’s Go, Eevee hits the right balance to give newcomers something to simple to understand while appealing to longtime fans with its strong gameplay. NintendoNintendo SwitchPokémon Let's Go Eevee!Pokémon Let's Go Pikachu!